When Should You Run Through Pain? When Should I Run Through Pain? After a hard workout or a long run, you're most likely going to feel some overall muscle soreness. But when you feel pain in one particular spot, it could be a sign that something's wrong. In one study of over a thousand recreational runners, a quarter of them reported that they had pain before their race. This pain was typical of overuse injuries. Pain should be a warning sign that you are training a little too much and you may need to cool your jets to let your body adjust properly to your training. You should definitely stop running and seek medical help for severe pain, swelling, difficulty moving your limb or a feeling that it is giving way, numbness or tingling in an injured area. Don't go for a run with those symptoms. If they occur while you are running, stop as soon as possible and seek medical care. You feel this type of pain when you start to exercise but it usually goes away as you start to warm up and continue running. The pain may be inconsistent and moves around the body, or you feel it bilaterally (in both knees, for example). On a pain scale of 10, it ranges from 1 to 3. Mild pain or discomfort is common and considered safe to run through. Apply R.I.C.E treatment to any areas of concern after your run. This type of pain appears as you start exercising, but stays at a tolerable intensity throughout your run. On a pain scale of 10, it ranges from 4 to 6. It rarely passes your pain threshold and it doesn't cause you to limp or alter your running stride. While it OK to finish your run if you're almost done, it's best to listen to your body, take a few days off from running and apply R.I.C.E. treatment, allowing your body to heal. A couple of days of rest or pain-free cross training now can save you from a full-blown running injury that sidelines you for a longer period of time. Ranging from 7 to 10 on the pain scale, this pain is severe in nature and you can feel it before, during and after exercise. 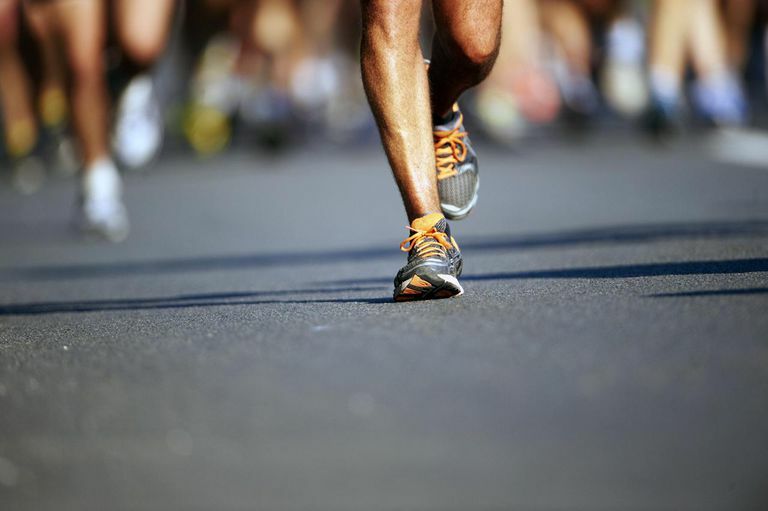 The pain increases as you continue running and will typically cause you to limp. You should never continue running when you feel this type of pain. Consult your doctor and follow his or her recommendations. Running Injury Prevention Tips & Return to Running Program, Copyright 2007 The Brigham and Women's Hospital, Inc. Department of Rehabilitation Services. Lopes AD, Costa LO, Saragiotto BT, Yamato TP, Adami F, Verhagen E. "Musculoskeletal pain is prevalent among recreational runners who are about to compete: an observational study of 1049 runners." J Physiother. 2011;57(3):179-82. doi: 10.1016/S1836-9553(11)70039-X. When Should You Replace Your Walking Shoes? Is Hot or Cold Water Better for Post-Run Recovery?